Uncle Scrooge and Webby *hugs*. 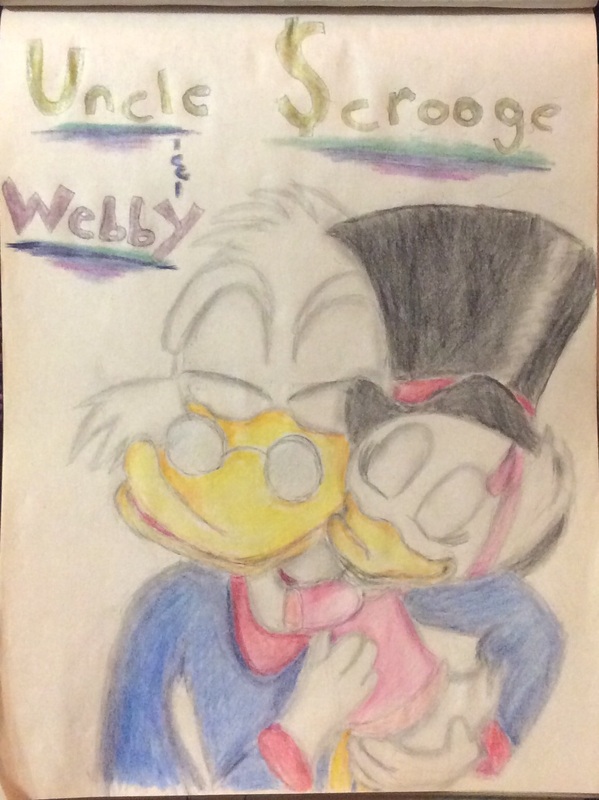 A picture I did of Scrooge and Webby hugging each other. She's wearing his topo, início hat, because it makes her feel grown up, even if it is way too big on her.. HD Wallpaper and background images in the Childhood Animated Movie heroes club tagged: photo disney animated heroes ducktales scrooge uncle mcduck webb webbigail vanderquack.